Demon possessed people worship God as well. Reading this story again I realize that we focus so much on the condition and deliverance of this man. That we can sometimes miss that He came to Jesus and worshiped Him. Why and how could a demon worship God? This story teaches that when God is in the midst, we should come to meet Him with a reverential attitude. When God sees our attitude of worship, He is able to deal with the most powerful attacks in our lives. Sometimes we think that we are free to worship and that Holy Spirit filled people are the only ones to worship: and this is not true. When we are unable to lift up our hands unto God or move freely in Him, it is because we lack confidence in God. Usually meaning that we are focused on self (self condemnation or problem/emotion focused) and not God. We can neglect worship because wr lack self discipline and/or desire. 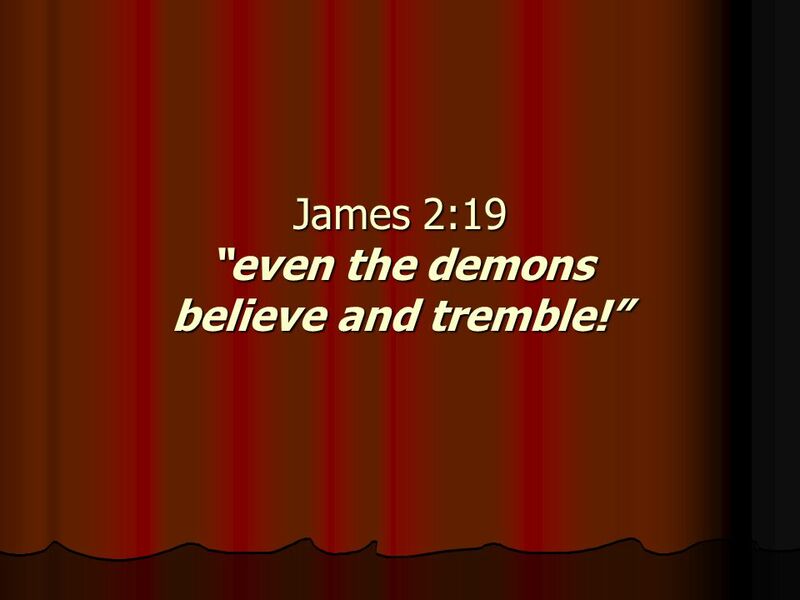 This is why discernment is needed because demonic spirits know God: they tremble and they worship Him. People claim that it was the human worshiping God, and not the demon, but this man was possessed by demons not merely oppressed. The bible actually uses the words oppressed by the devil, and possessed by an evil spirit (lunacy, etc.). In the bible, possession causes physical issues like causing muteness, seizures, self harm (cutting) deafness or blindness. And before Judas betrayed Jesus, the bible says that the devil entered him. This is demonic possession. the state of having, owning, or controlling something; belonging, invasion; ownership, control, hands, keeping, care, custody, charge, hold, title, guardianship; an item of property; something belonging to one. Basically a demon can wear us like a suit if we do not have protection. The bible also speaks about apostasy, false prophets and heresy coming from people being influenced by the devil. And other parts of the bible speak about the spirit of the Anti Christ. The scary thing about all of these is that they are in the church! Not outside of the church! These are people who were led away from Christ! Have you ever been led away from Christ? Have you ever went to a Christ professing church with idols? Did you know these are demons too (Psalm 106)? Just something to think about. Now back to topic, oppression; demonic oppression. We know that the devil walks around like a roaring lion, seeking who to devour. And we also know that our fight is not against people, but against spiritual forces in heavenly places (witches, warlocks, satanic agendas, etc.). I believe Jesus was tempted in the wilderness after his 40 day fast, but I doubt that Jesus was oppressed by him. From my understanding, demonic oppression is when we take heed to demonic influence and schemes. When they win the battle, and we forfeit the victory even if temporarily. Once the battle is lost, then the demonic oppression begins. Now the person (their soul) is at the mercy of the demonic spirits because entrance was given and rebellion to God took place! Everyone needs to know the power of the heart! The heart is the center of all life, it determines the course of our lives. The heart directs our thoughts and actions, the heart if unguarded becomes the devil’s playground (strongholds and paradigms). And this is where oppression operates. We battle with our minds, because we do not know what is truly in our heart. If you know what you firmly believe in, then you can fight the thoughts. If you have an unregenerate subconscious mind (heart), then yes you will lose the battle for your mind. Confession and repentance of sin is the only way that we can be restored spiritually, physically and in our soul. Only Jesus has the power to break demonic oppression and possession, and this is why demons recognize God as creator and as God. Father God, Lord have mercy! Free us from ourselves, from our inclinations and subconscious thoughts. Show us your way, and teach us your absolute truths. Let us not fall and stay down, led us not be seduced away from you. I pray for your love and mercy to continue sustaining us. I also pray for increased discernment for the body of Christ. In Jesus name, Amen.